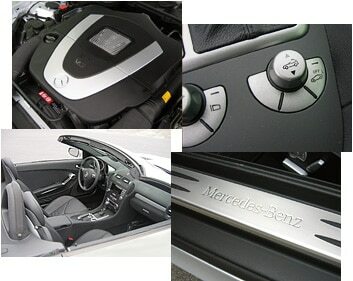 In short: A fast and fun hard-top roadster. 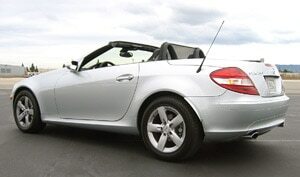 Although not as quick as the SLK350, Mercedes' entry level roadster still boasts quick moves and the marvelous retractable hard-top that's still a treat to behold. 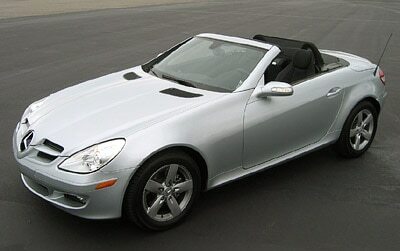 The convertible's 228-horsepower, 3.0-liter V6 engine provides plenty of pep for the sprightly two-seater while still allowing the Mercedes-Benz SLK280 to achieve a respectable 27 mpg highway. Warranty/Service: Four-year/50,000 mile new vehicle warranty, 24 Hour roadside assistance program.